Phototherapy and LED therapy is one of the top fastest growing trends in spa and wellness industry. Developed by NASA to treat wounds in space by stimulating the body in healing itself, the technology is an effective way to flush fat, rejuvenate the skin, and alleviate pain. If you are looking for ways to add value to your spa and wellness center with a non-invasive, effective technology, red light therapy is the answer. While the NUSHAPE I was a complete body care program for slimming and contouring that uses FDA-approved red light LED wavelengths for slimming, our newest model, the NUSHAPE II, adds modes for pain relief and skin rejuvenation, providing three led photonic therapy systems in one. Our powerful photonic system is available for use in day and med spas, wellness centers, tanning salons, and to other beauty and wellness professionals. NUSHAPE can be implemented as a standalone service or paired with complementary treatments for superior results. NUSHAPE was originally developed as a more efficient approach to weight loss and slimming. Our cutting-edge red light system doesn’t require a license to operate, allowing spas and wellness centers for affordable operations without the supervision of a medical professional. NUSHAPE now provides high quality, professional, and efficient slimming, skin rejuvenation and pain relief functions to serve a variety of spa and wellness businesses. For one affordable price, you can become a qualified partner location and receive NUSHAPE equipment and products, along with consulting, training, repairs, and ongoing marketing support. Our purpose is to help your business flourish with a high-tech photonic system for better body slimming, skin rejuvenation, and pain management. Over four times more powerful than Zerona, LipoLight, and other competing technologies, NUSHAPE was proven to help people lose an average of two inches in the first one hour session when following recommended treatment guidelines. Using FDA cleared LED wavelengths for circumferential inch loss, the NUSHAPE fat loss treatment flushes approximately 130 grams of fat from a targeted area. The therapy is fast, non-invasive, and efficient. 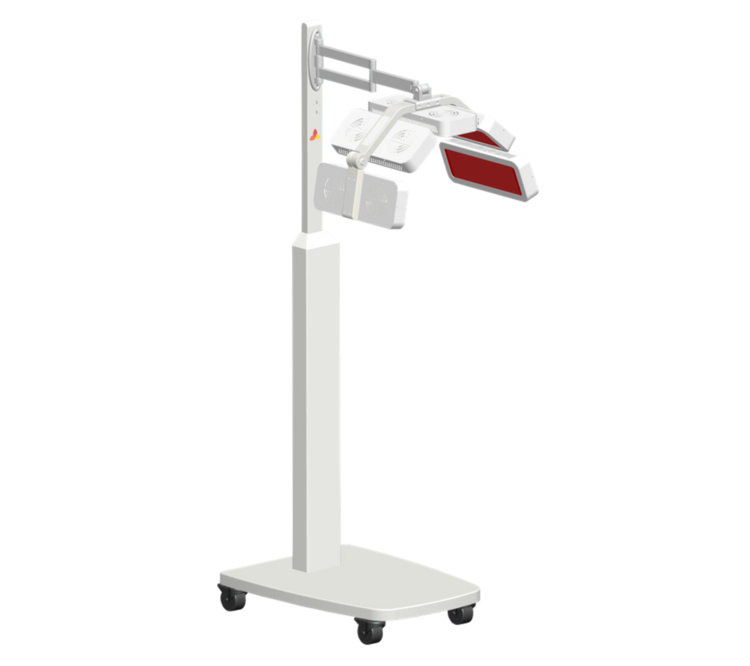 NUSHAPE’s newest therapy models uses FDA cleared LED wavelengths in our latest model, for clients with aging and damaged skin as well as chronic pain, inflammation, and arthritis. Our competition charges tens of thousands of dollars to join their program, we keep our pricing competitive and offer a payment plan to get you started with photobiomodulation right away. NUSHAPE works alongside partner location by providing them ongoing support, training, repairs, or replacements. Schedule a 15 minute phone consultation with Jessica Charles, Founder and Inventor of Nushape, to learn about red light phototherapy. Do You Want To Increase Revenues And Draw More Clients Without Increasing Overhead and Staff? Discover how NUSHAPE can help you increase revenues by offering in-demand services without adding staff or increasing overhead. Or Send us an email to hello@NUSHAPE.com for a response within 24 hours. The piece de resistance of slimming therapies. Built on NASA research, NUSHAPE II red light therapy can remove fat and reduce inches without needles, incisions, or other invasive surgery. Over four times more effective than Zerona, Lipo-Light, or other traditional red light slimming services, NUSHAPE’s cutting-edge therapy can help clients lose as much as 130 grams of fat per session. After the relaxing experience, the body will feel toned and tight. NUSHAPE II delivers superior results when combined with other detox, wellness, and NUSHAPE treatments. Infrared saunas, body wraps, detoxifying foot baths, and whole body vibration increase inches lost over the treatment program. This slimming, firming, and toning treatment uses red light therapy to stimulate fat burning, improve the appearance of cellulite, and dramatically reduce the size of any area of your choice. NUSHAPE Lipo Flush burns approximately 1000-1600 calories within our FAR-infrared saunas / sauna wraps and red light phototherapy. Imagine getting your body tone and firm while doing nothing. Sounds too good to true? For once, it’s not. Designed to support the cleansing process, our Whole Body Vibration therapy stimulates the lymphatic system and eliminates the released fat out of the body. Nothing simpler than stepping onto our Vibraplate, do nothing and tone your body. Whole Body Vibration boosts the metabolism as much as a 40-minute workout. NUSHAPE Fit body herbal treatment when applied with a compression bandage after or during a workout or red light treatment can re-mineralize, detoxify and stimulate circulation with a mega dose of essential oils, caffeine, plant and algae extracts, and 75 naturally occuring trace minerals to improve the appearance of cellulite, fat deposits, water weight, loose skin, varicose veins and stretch marks. This results driven treatment has been created to accelerate the fat loss process. The firming, slimming, and detoxifying therapy combines all natural, organic herbs which, once applied to a compression wrap over your targeted area tones and firms the skin. Fast and effective, your body will feel toned, tight, and beautiful from the inside and out. Firm. Detoxify. Increase circulation. Burn Calories. Soothe sore muscles. There’s only one thing better than staying in bed on a cold winter day – and that’s the promise of a feel-good heat you’ll feel in an infrared sauna. It’s well known that sweating is one of the body’s natural ways to eliminate toxins, making it an essential part of detoxification. Within seconds, the heat generated by an infrared sauna will also increase your core temperature, accelerating your heart rate to the same level when exercising. In fact, just 15 minutes in an infrared sauna wrap stimulates circulation, boosts perspiration, and eliminates toxins. Our FAR infrared sauna wrap not only that purifies your skin and body, but also burns 800-1400 calories in less than an hour. In addition to being an effective weight loss therapy, FAR infrared sauna wraps can also alleviate rosacea, intense flushing, and eczema. For thousands of years, people have been looking for a fountain of youth that would break the cycle of aging and deterioration. The quest for a magical spring or powerful elixir that would help us remain young forever has yet to be completed. Red light therapy not only accelerates the body’s natural healing process but can also keep the skin young and rejuvenated. The long wavelength of infrared light enables it to pierce deep into the dermis and invigorate fibroblast cells, which increases elastin and collagen production. NUSHAPE for skin can treat numerous skin conditions, such as acne, rosacea, or eczema, as well as improve skin tone and elasticity. Concentrated red light in collagen stimulating wavelengths helps fight visible signs of aging skin, repair sun damage, discoloration, and more. The NUSHAPE II is a complete body care program for slimming and contouring that uses the most recent advancements in red light therapy. Similar FDA approved slimming devices start at $30,000USD and go up to over $80,000- NUSHAPE II offers the best value by exceeding the abilities of competing technology and adding modes for pain relief and skin rejuvenation, essentially bringing you three led photonic therapy systems in one. Our powerful photonic system is available for use in day and med spas, wellness centers, tanning salons, and to other beauty and wellness professionals. NUSHAPE can be implemented as a standalone service or paired with complementary treatments for superior results. Training, samples of NUSHAPE Essentials slimming body products, and marketing support are included with the purchase of our NUSHAPE Model II. Territories will be protected to avoid over-saturation and competition among authorized providers. Questions? Get In Touch Below For A Response Within 24 Hours. Or Call (805) 886-2590.